When Wolverine mutates, claws of adamantium spring out of the back of his hands. It's not comfortable, so we’ve heard anyways. But if your child wears this Child Deluxe Wolverine Costume, he doesn't need to worry about that. He can have the killer look without the all the angst. 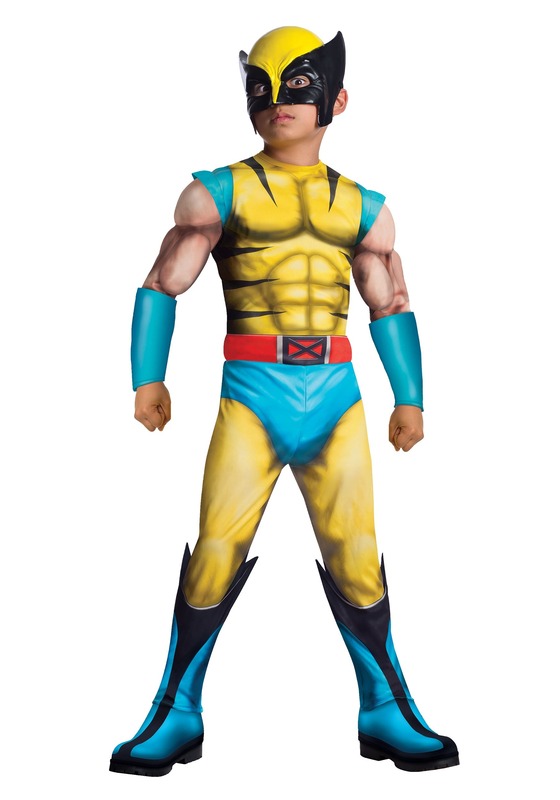 If your child is Marvel obsessed like the rest of the world then our Child Deluxe Wolverine Costume is the perfect choice! What could be better than part man, part wolverine? Even if your little wolf hasn’t been spending his spare time pumping iron in the gym he can still look just as ripped as the real deal. Our Wolverine costume has a padded chest and shoulders to give him the chiseled look that we’ve come to know and love. Just don’t forget his claw gloves so he can get the full effect of the beloved character. With his keen animal instincts and incredible healing abilities he will be able to sniff out all the best houses with all the best candy, and help any injured trick or treaters along the way. Hopefully he will share that stash of candy. Although his broody behavior may be a lot to handle once he transforms from Logan to Wolverine he will still be cute, sorry parents this is one rogue animal you will have to let sleep in the house.